T.E.Lawrence, better known as Lawrence of Arabia, infamously wrote “the dreamers of the day are dangerous men, for they may act their dreams with open eyes, to make it possible” – and that’s exactly what the desert swing offers to players kicking off their 2019 in Abu Dhabi. A chance for dreamers to turn themselves in to doers. So often in golf we are stifled by fears of being punished by an aggressive game plan, that we retreat to a more conservative strategy. 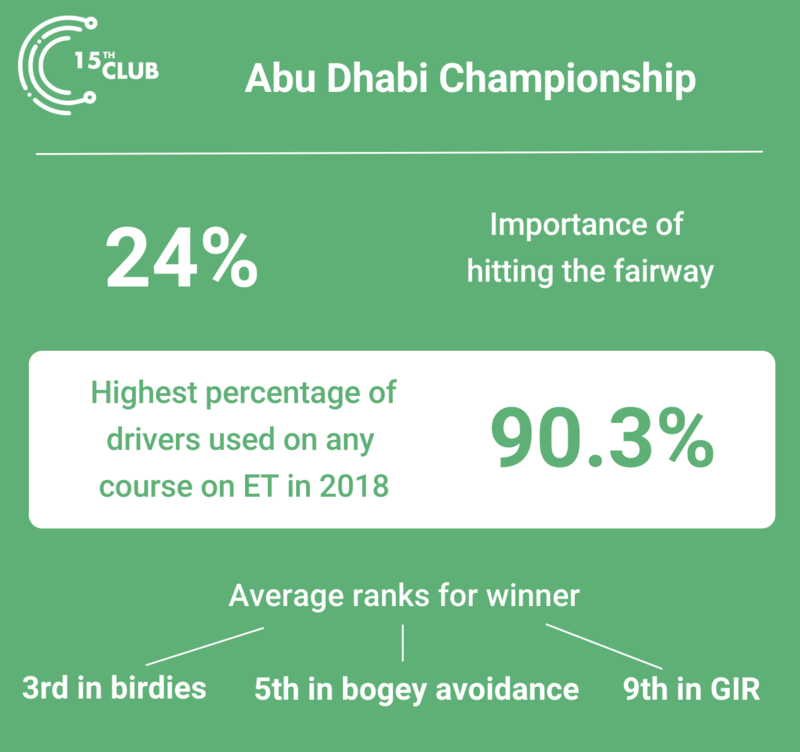 The Abu Dhabi HSBC championship can change that. A course historically associated with low-scoring, the average winning score here has been -18. Birdie-making is a must this week, the more wayward folks off the tee will be delighted to learn that driving accuracy is far less relevant this week. From a player’s perspective what better way to start a new season than at course that takes the premium out of driving accuracy, allowing you to swing for the hills, with little care for (this week at least) the value typically derived from accuracy off the tee. It’s all about making birdies here and you don’t need to be in the fairway to do it. That said it’s completely understandable why many will not head to the desert and unleash an ultra-aggressive game plan, preferring to play their way into the new season, to give themselves chances, in a controlled manner. We’d strongly suggest a bolder approach. Concise and decision relevant course information served up in our pre-tournament player packs to golfers on our Waggle Insight package, give the players deep insights into the course set-up, past scoring patterns, what aspects of their game they should focus on that week, past winners performances, hole analysis and more. Only when a player has this level of course specific intelligence can they build an appropriate and highly personalised strategy to attack the challenges of any given week.